We're happy to announce our 2018 Winter Warmers Winners, each winning their share of our R30,000 cash prize. We thank everyone who entered the competition and supported our hotels. If you weren't one of our lucky winners, you still stand a chance of winning your share of R20,000 if you enter our Sweet September competition, which closes on 30 September 2018. Click HERE to enter. CONGRATULATIONS TO MICHELLE KAYE, WHO TOOK THE TOP PRIZE OF R20,000. 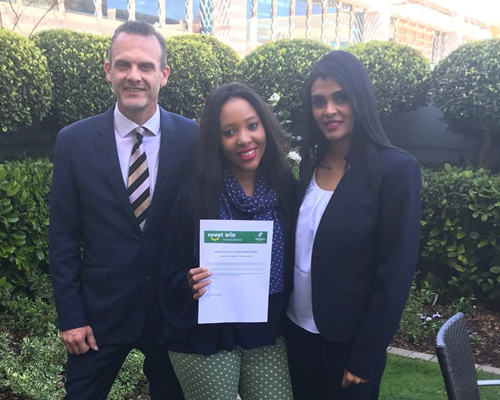 Here she is, accepting her prize at Holiday Inn Johannesburg-Rosebank, with our Sales Manager, Elaine and General Manager, Don. CONGRATULATIONS TO CHARLEIGH JACOBS WHO TOOK HOME R5,000. 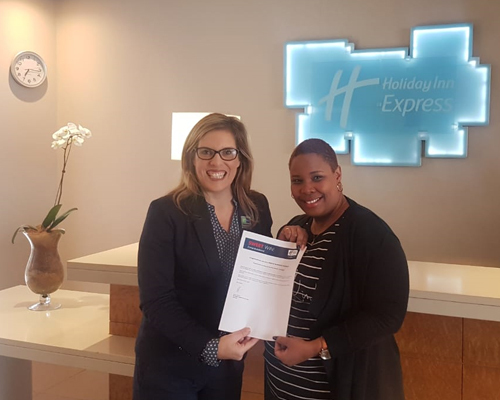 Here she is, accepting her prize at Holiday Inn Express Durban-Umhlanga, with our General Manager, Bronwyn. CONGRATULATIONS TO OUR 3RD PRIZE WINNER, OF R3,500, MPHO MODIBA. 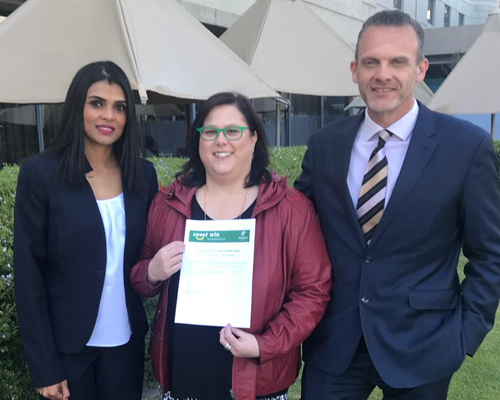 Here she is, accepting her prize at Holiday Inn Johannesburg-Rosebank, with our General Manager, Don and Sales Manager, Elaine. CONGRATULATIONS TO OUR 4TH PRIZE WINNER, OF R1,500, COMFORT NTEKWANA. 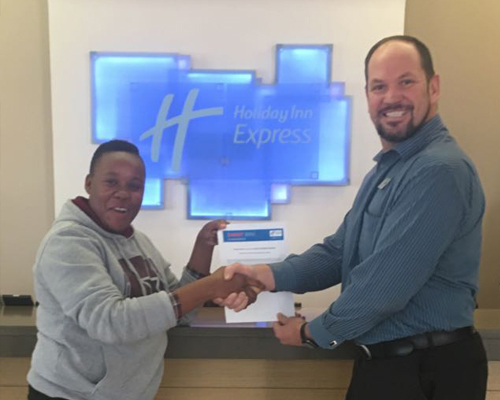 Here she is, accepting her prize at Holiday Inn Express Pretoria-Sunnypark with our General Manager, Reinhardt. For any questions, e-mail us. | Read full Terms & Conditions.